The Queensland Resources Council has welcomed the Palaszczuk Government’s announcement it has identified more than 43,000 square kilometres of land for resource exploration. 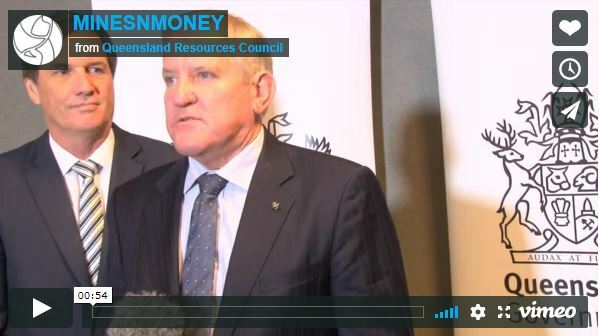 QRC Chief Executive Ian Macfarlane said the announcement of the land exploration release was a commitment of confidence in the resources industry. “It is also a demonstration of the Government’s willingness to actively attract private sector investment to create more jobs, more exports and more royalties for Queensland,” Mr Macfarlane said. Queensland Exploration Council Chair Brad John said the QEC welcomed the release of the Queensland Exploration Program which provides certainty to industry of the Government’s intention to release prospective exploration land in the next 18 months. “All these parcels of land would have had an expression of interest submitted by a company or individual looking to explore and it’s great to see the government responding to industry’s interest in exploring these areas by opening them up,” Mr John said.